"+/- 57 acres on St Lukes Road. Land is +/- 40 acres of dry tillable farmland and +/- 17 wooded acres. Improvements include +/- 2,000 sqft 4 bedroom farmhouse in good condition, detached garage, nice barn, and multiple sheds." 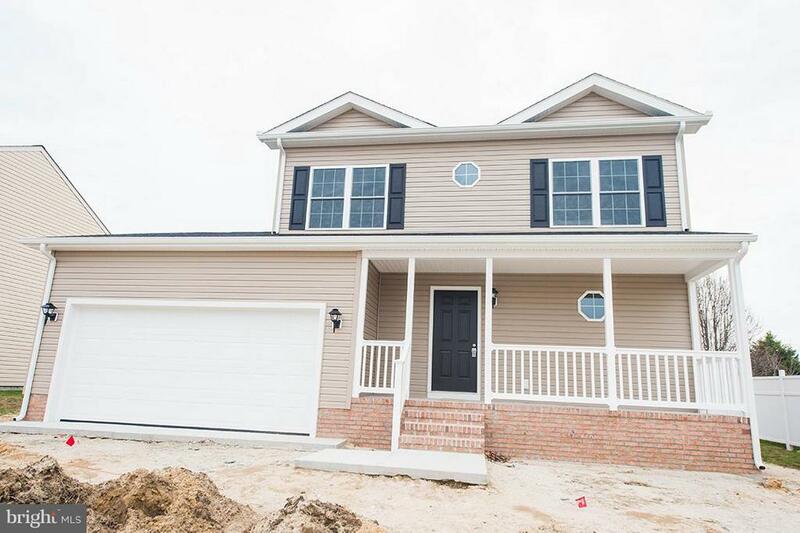 "Check out this 4 bedroom 2.5 bath home to be built-quality construction by Malone Homes!! High end finishes throughout, large master suite, formal living room with open kitchen-dining area, formal den, fireplace, high end flooring, designer kitchen with island and so much more!! Still time to customize and make this one your own!" 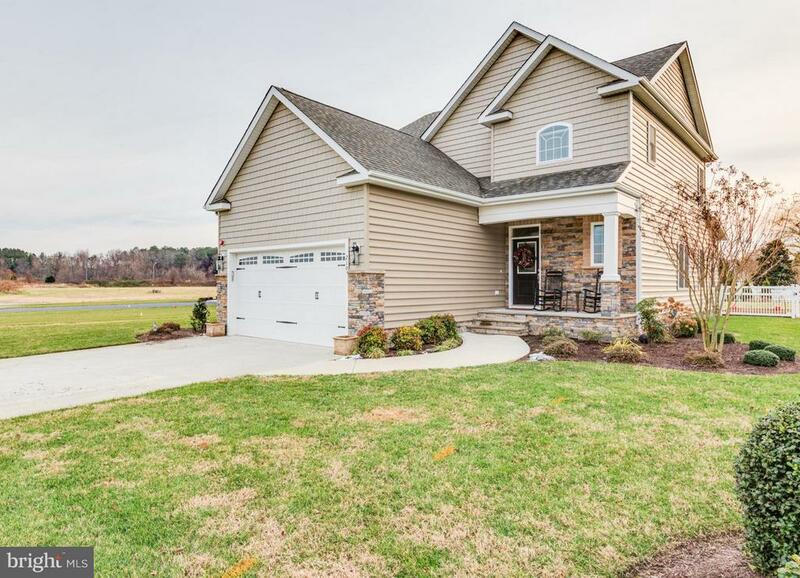 "Brand new construction just started in Rowens Mills! Still time to pick out your finishes! High end finishes throughout in this gated community, including: hardwood floors, designer cabinets, stainless appliances, large master suite and so much more. Still time to customize, act before its to late!" 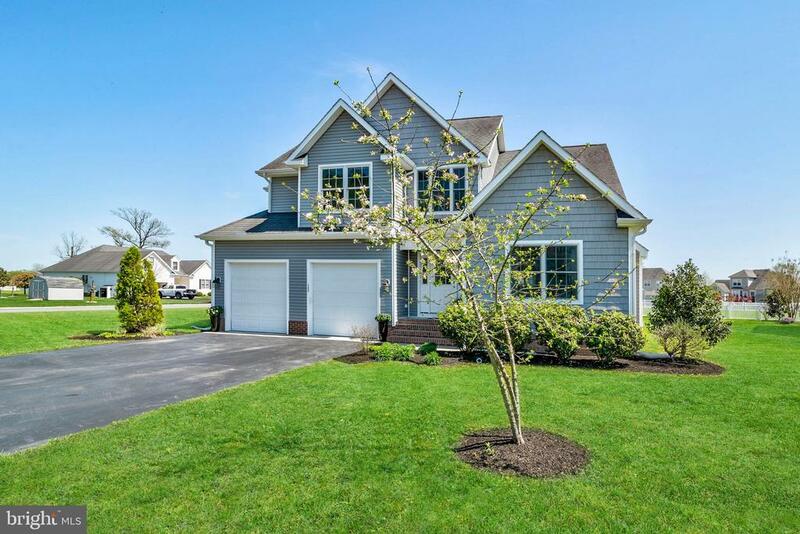 "A Beautiful Cape Cod Style home located in the south Riverside Drive community of Silver Run. The Entryway Foyer features Vaulted Ceilings, Oak Stairs and Rails leading upstairs. Downstairs there are Hardwood floors throughout. With a front room for a formal living room, and another styled as an office with built-in bookshelves. As you move to the back of the home there is a formal Dining Room that enters onto the Beautiful Eat-in Kitchen with a large center Island. Well appointed appliances including Wall Oven and Built in Microwave, Cooktop with downdraft exhaust, and brand new Dishwasher. Custom oak cabinets throughout with Granite countertops, recessed lighting, and Tiled floor. Adjacent is a large Family room with more built in Bookshelves, Hearth and a Efficient Pellet stove to supply extra warmth to get cozy by on those Winter nights. Large windows and a sliding door lead out to the back deck and private back yard. Upstairs Hardwood floors lead from the landing into the Master Bedroom with extra space for a sitting area. There is a large Walk-in closet and Master bath. The second floor also has 2 more bedrooms and Hall bath with spacious tiled shower. This home has a deep 2 car attached garage, with an unfinished bonus room above. Landscaped yards also have a zoned Automatic Sprinkler system. Come see this beautiful home in a great neighborhood today." "Raised rancher in Covered Bridge Estates! This home is over 3300sf and needs to be seen! Completely renovated in 2006, this home was taken down to the studs! Natural gas heat (up and down). Kitchen has gas stove, double ovens, 2 dishwashers and warming drawer. Huge master suite with master bath and large walk-in closet. This home has it all in a very popular neighborhood. Just a few minutes to PRMC and Salisbury University. Come get a piece of the good life!" "Check out this spacious property in East Fields! This 3,505 sq ft home features 6 bedrooms, 3 bathrooms! The kitchen offers plenty of cabinet and counter space with a breakfast bar area! There is a first floor master bedroom, with an attached master 4 piece bathroom and roomy walk-in closet! Make your way upstairs to see the sizable family room and the office with french doors and vaulted ceilings. Four more bedrooms are upstairs,- two with walk-in closets, and another full bathroom round out the second level! 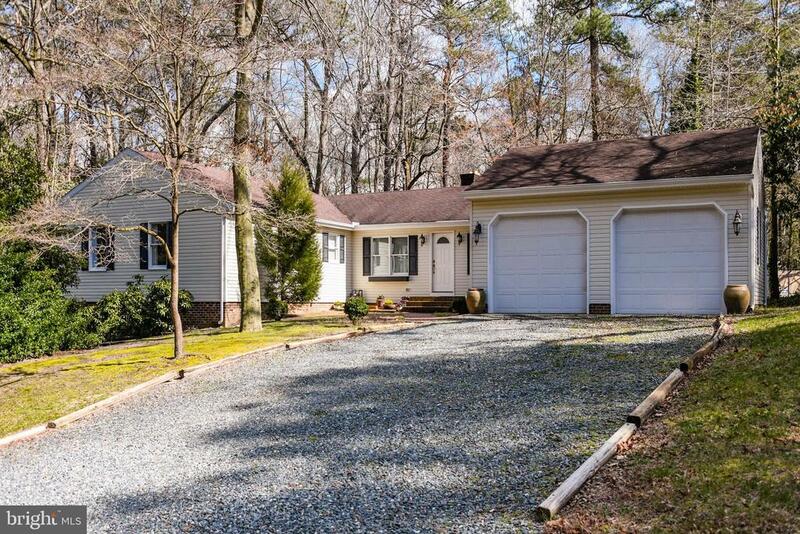 Lastly, this property sits on a .63 acre lot and has an attached 2 car garage!" "Filled with natural light and boasting an open floor plan enhanced by a dramatic soaring ceiling, hardwood flooring and gas fireplace, this stylish 3 bedroom, 2.5 bath Rowen's Mill contemporary is just the place to call home. 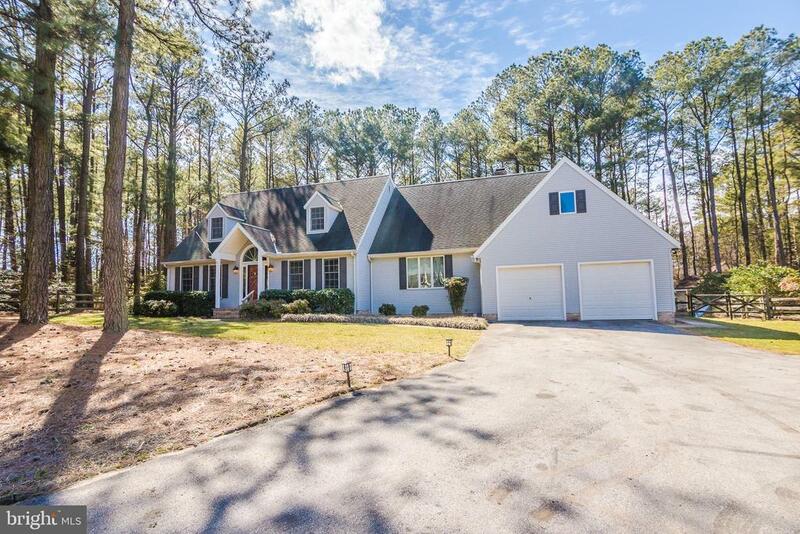 Interior features include a spacious kitchen w/ granite, stainless, pantry and breakfast bar, a 1st floor master w/hardwoods and a private bath offering a tub and walk-in shower, an open hardwood staircase, and a cozy loft w/ built-in bookcases that could serve as a home office. Outdoor features include a screened porch off the great room, a private balcony off one of the 2nd floor bedrooms, a paver patio, a vinyl fenced back yard, in ground irrigation, extensive landscaping, concrete driveway and garage. Community amenities include a private clubhouse, in ground pool, picnic area and walking trails. HOA fee includes lawn mowing, trimming front and side shrubs and mulching along front and side of house." 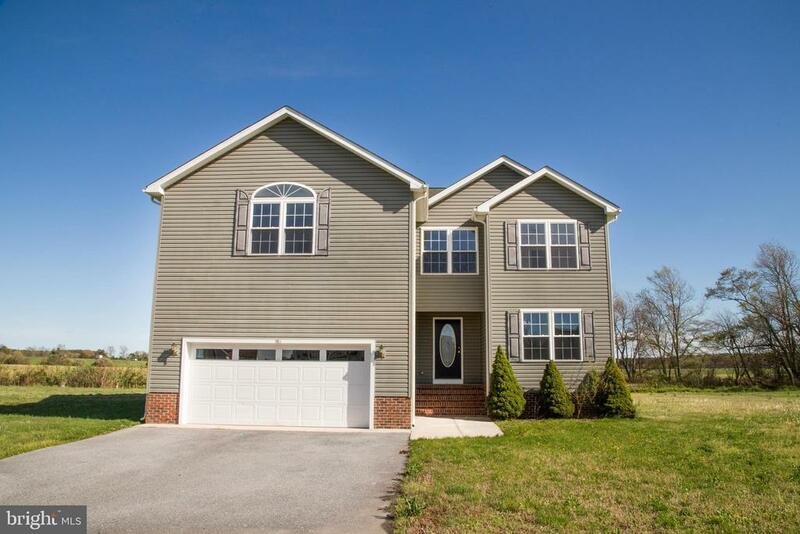 "Wonderful 4 bedroom home located in East Fields subdivision in Fruitland. Nestled on almost a half acre, this 2300 sqft home offers a large living room with hardwood floors and gas fireplace, large eat-in kitchen, dining room with plenty of space, 2 full bathrooms as well as a half bathroom, and a finished 3rd floor where the 4th bedroom is located as well as space for an office or library. Outside, enjoy the back deck and fenced in backyard. This home is definitely one to see!" "Located on a corner lot w/ fenced back yard, this updated 4 bedroom, 2.5 bath residence boasts a contemporary floor plan featuring a 2 story foyer with wood paneled accent wall and open staircase, and an open LR/DR with vaulted ceiling, gas FP, and luxury vinyl plank 'wood' flooring. The eat-in kitchen offers a casual dining ares and sliding door access to the back deck. The convenient 1st floor master has a walk-in closet and spacious bathroom w/ double bowl vanity and tile flooring. The upstairs features 3 additional bedrooms, a hall bath w/ separate toilet/tub area and walk-in floored storage." "Enjoy the quiet neighborhood and watch your kids play on the playground out back or in the cul-de-sac at the end of your driveway. Situated on one of the largest lots that is pond front- Eastfield's in Fruitland has to offer, this features 4 bedrooms and 2.5 baths. This home has just been freshly painted! Fourth bedroom is a large finished bonus room. 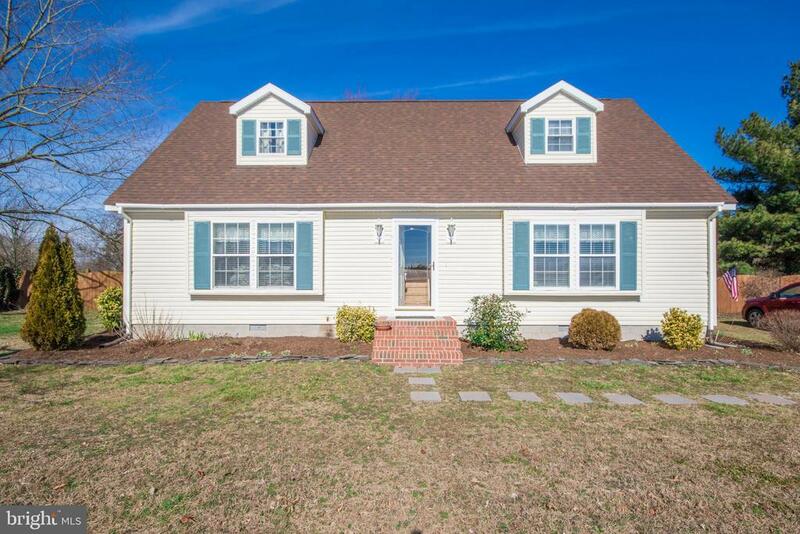 Large deck, front porch, vinyl siding and newer architectural shingles.The crawlspace is totally encapsulated and equipped with a french drain . Relax in your ''L'' shaped great room after work with the gas fireplace on and the kids playing around the corner of the room. 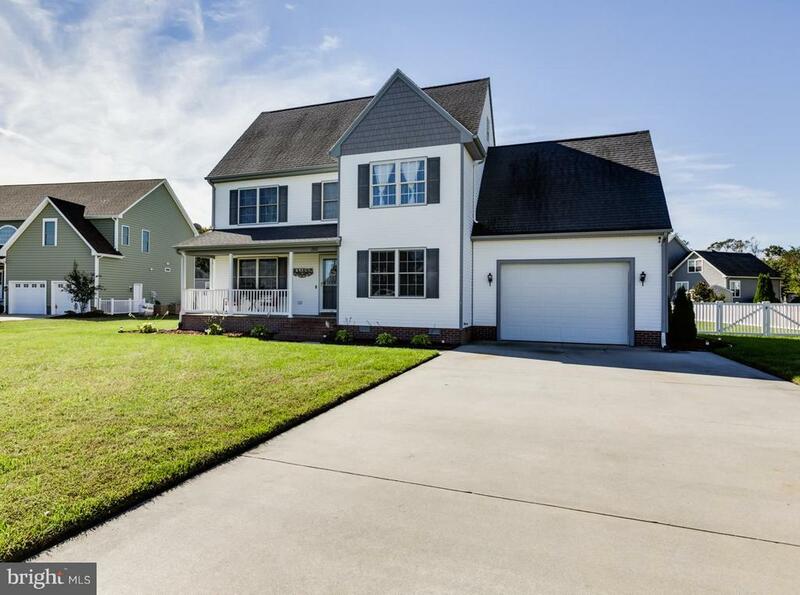 This home is equipped with a 2 story foyer, and an attached 2 car garage. 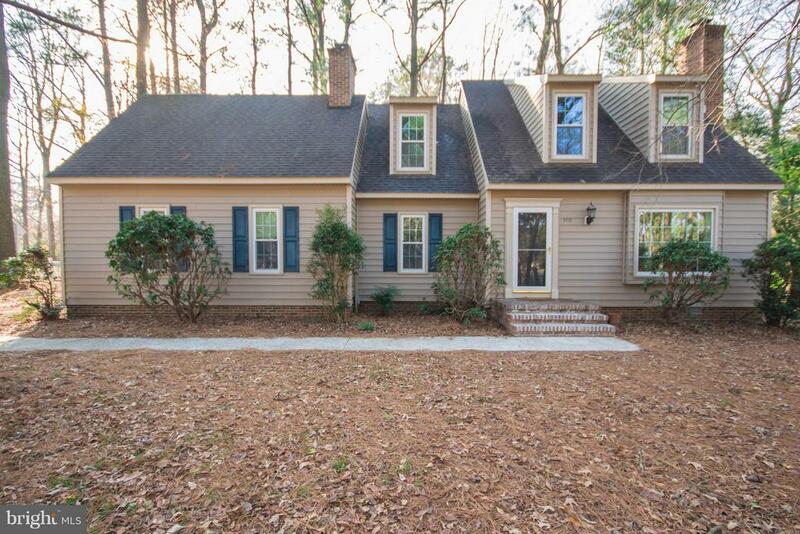 Nestled on a private lot next to a pond, this home is move in ready and a must see!" 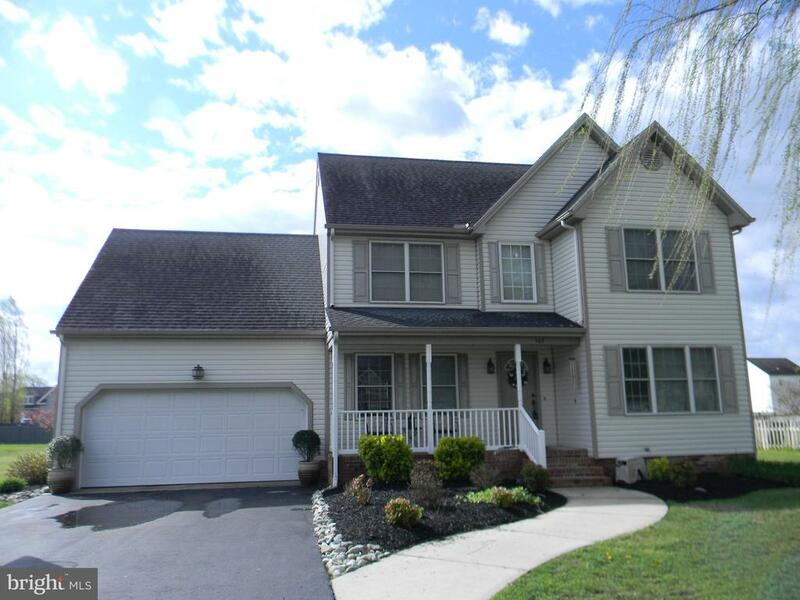 "This beautiful MOVE-IN READY Colonial is located on the very desirable Covered Bridge Estates. Custom built house nested on a quiet cul-de-sac. This charming home on 1st floor features crown molding and chair railing in the living room, dining room, and family room. It has an open kitchen/family room with wood burning fireplace and plenty of natural light in the living room due to the large picture window. The 2nd floor offers 2 bedrooms, 2 bathrooms, the master bedroom with built-in shelving and access to a bonus room that can be used as a bedroom. The seller is offering a $2,500 seller concession to use towards carpet allowance or closing cost with acceptable offer. Interior features: This beautiful home has been totally remodeled. It has brand new stainless steel appliances, new kitchen counter tops, new kitchen sink, and faucet assembly, and new garbage disposal. New light fixtures in kitchen/den, new laminate wood flooring in kitchen, hallway and den plus new vinyl flooring in all bathrooms, new light fixtures in all of the bathrooms plus new shower heads, towel racks and new toilet holders and internal hardware for toilets. New bi-fold closet doors and closet door track assembly downstairs and all closet doors have been refinished. New French doors in dining room plus new frame assembly and molding. New drywall, paint, and trim throughout the home. Brand new hot water heater and main internal water shutoff in closet. Exterior features: New asphalt milling driveway, brand new deck, 13 new windows with fold-out easy clean capped with matching trim, new Pella front storm door, re-mortared front brick step, new garage door opener, garage door has new paint inside and out with new trim and seal at bottom/side of door. New gutter and downspouts over French doors. The roof, siding, insulation, and heat pumps have all been replaced within 5 years. 2 new outdoor hose bibs, new mailbox and post assembly. New chimney caps to prevent squirrels and other animals from enter"
"Proud one owner home in Saddle Brook, Fruitland MD. 5 Bedrooms 2.5 Baths, 2419 sq/ft , Brick Front, 9ft ceiling, Corian Counter top, Cherrywood Cabinets, 2 car attached garage, Gas fireplace. HVAC was replaced 3 years ago. Call your agent today for a private showing!" "Recently renovated 4 bd 2.5 bath home!! 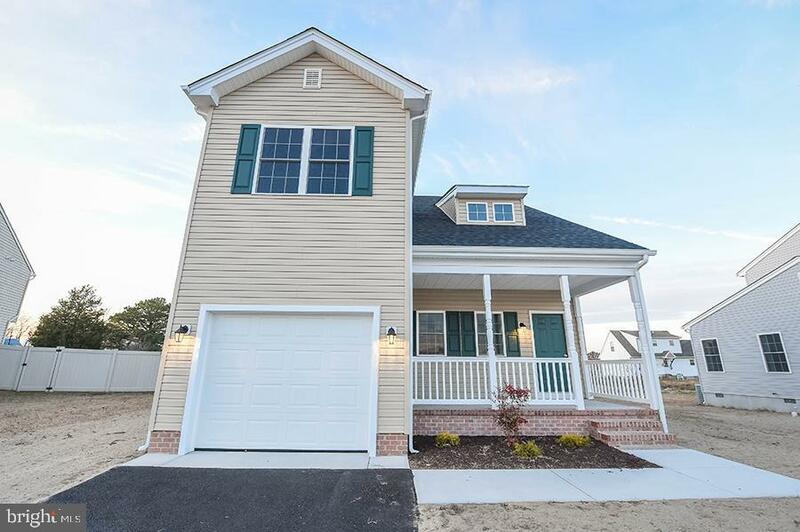 New kitchen, granite tops in kitchen and baths, tiled back splash, brand new stainless appliances, hardwood flooring, new carpet and new flooring in all baths.Smart home package with smart home integration. Home features a formal living room and dining room.Gas fireplace and breakfast nook. 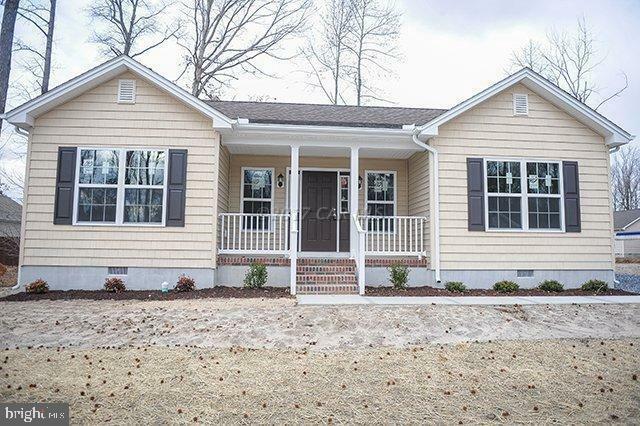 HUGE finished bonus room, railed front porch and large enclosed back porch. This is a must see!!" "Brand new under construction in Fruitland!! 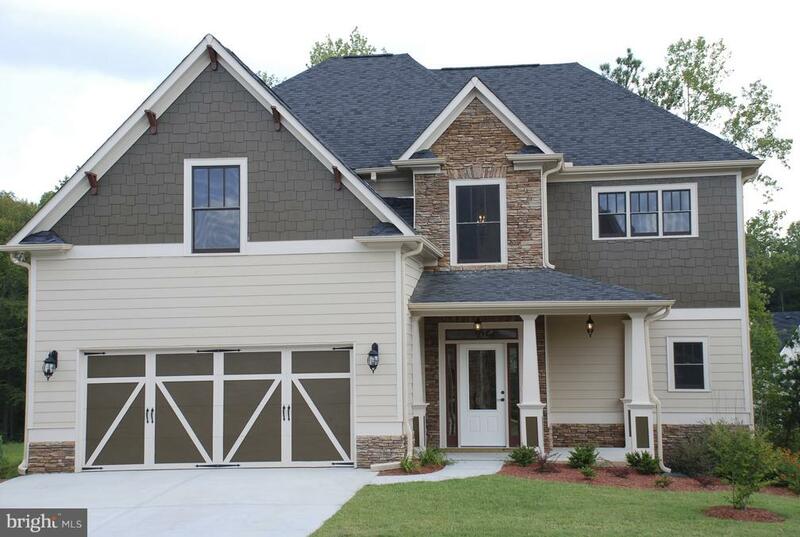 Still time to pick your finishes and make this your own!High end finishes throughout, open floor plan, large forth bedroom/bonus room, loft area, computer office space, spacious bedrooms and first floor master suite! Large sitting porch, stainless appliances, hardwood floors, granite in master bath and kitchen, high ceilings and so much more! This is a must see, still time to pick out your finishes!" "Beautiful Property in East Field! Sited on a beautifully manicured and cul-de-sac lot, This lovely home features an open, bright & airy floor plan. 1st floor features a den (or office), dining room, kitchen & breakfast area and family room. Upstairs, there is the master suite w/ its private bathroom and 2 or 3 additional bedrooms (bonus room could be the 4th bedroom).....and the laundry area is conveniently located on 2nd level. Whether you're looking for your 1st home, last home, or somewhere in between, do yourself a favor and check this property out... you'll be glad you did!" "currently under construction -check out this brand new open with high end finishes throughout! Designer kitchen, wood flooring, 2 car garage, large master suite, open living room-kitchen area, back deck, front porch and so much more! Still time to custom your finishes, check this one out today!" "Don't miss this beautiful 4 bedroom, 2.5 bath Cape Cod with 1,906 SqFt located on over .69 acre just outside of Fruitland city limits-only county taxes. The eat-in kitchen upgrades include granite counter tops, ceramic tile flooring, all stainless steel appliances plus breakfast bar. First level of the home has master bedroom with half bath and double closet space on one wall. The second bedroom has pergo floors. Also there is full bath. Living room faces large front yard, has cozy gas fireplace and open staircase leading to spacious second floor. Upstairs has two large bedrooms and full bath with whirlpool tub and ceramic tile. Also has partially floored attic with plenty of storage. Home is energy efficient with each room having Mitsubishi Electric heat & air unit placed near the ceiling and has electric heat as backup. Owner services each unit once per year. Patio doors in kitchen lead to 14'x16' screened porch. You can enjoy huge, fenced in backyard with special landscaping to the left and nice vegetable garden, storage shed and kennels. To the right is 16'/16' deck that is attached to above ground pool. Evenings can be enjoyed by fire pit in middle of backyard. You still have room to build at the end of stone driveway a garage or add a carport by fence. Property is close to Rt #13 and Rt #50 Bypass, shopping, restaurants, medical facilities and two universities for sporting and cultural events, plus 30 minutes to MD beaches. Seller has well maintained this home plus they are offering Buyer a 1 year Home Warranty. Home Inspection and Septic Inspection were done in May 2018 and all repairs were made at that time. Call me today for your personal tour." "Brand new construction underway in Cedar Commons community in the Fruitland school district! 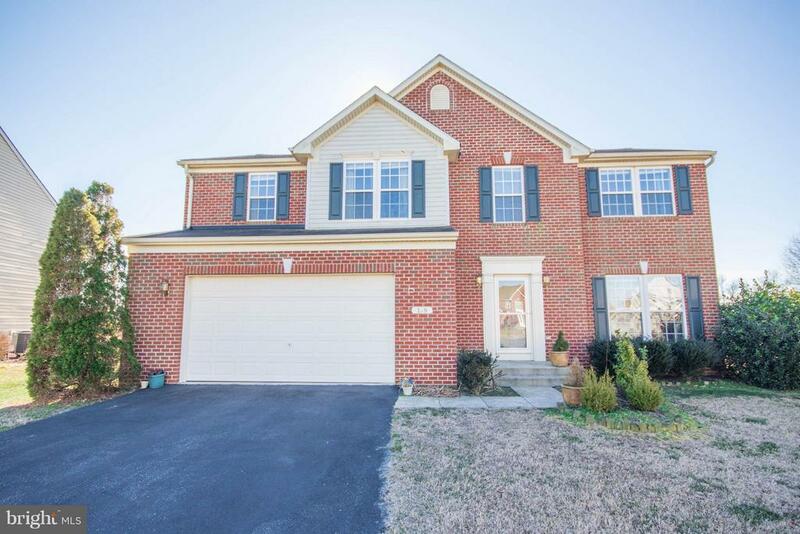 Hardwood floors, designer cabinets, stainless appliances, front porch, back deck -large master suite with a two car garage. Open floor plan with open kitchen, dining/living room area. Large spare bedrooms, one of the least expensive price per sq ft new construction on the market with these amenities! Sizes, taxes approximate. Photos are of a similar home recently built, and provided for reference only." "Brand new construction! 3BR/2BA contemporary rancher - upgraded finishes & a great floorplan to be built in the community of Creekside East. Spacious living room, gorgeous upgraded kitchen w/granite counters & stainless steel appliances. Sunroom off the dining area. Master bedroom with full, en-suite bath. 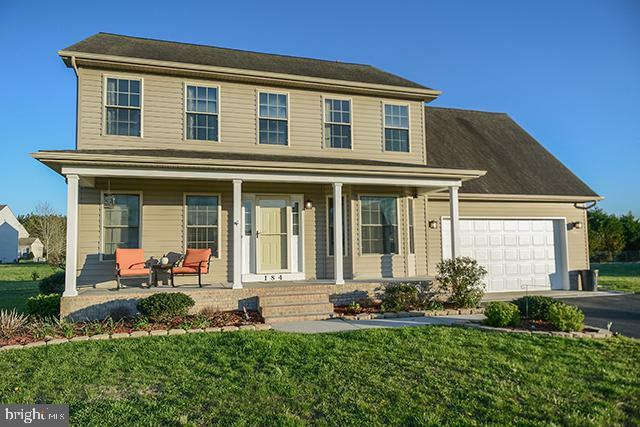 Conveniently located near the Bypass - minutes to shopping, dining, Salisbury University, & Peninsula Regional, but tucked away on a no-through street. Location qualifies for 100% financing! 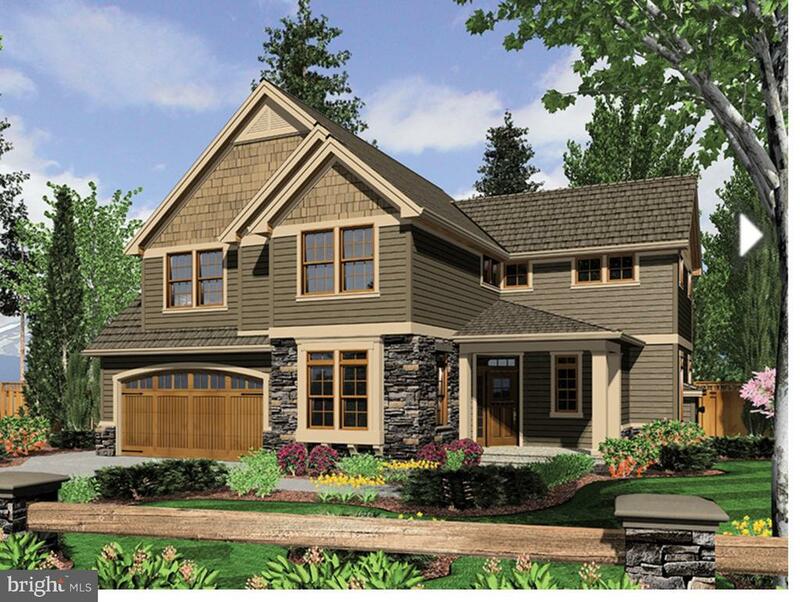 Call today to customize & make this home your own! Photos are of a similar home, and for reference only - subject to change. Sizes, taxes approximate." "Brand new construction! 3BR/2BA contemporary rancher - upgraded finishes & a great floorplan to be built in the community of Creekside East. Spacious living room, gorgeous upgraded kitchen w/granite counters & stainless steel appliances. Sunroom off the dining area. Master bedroom with full, en-suite bath. 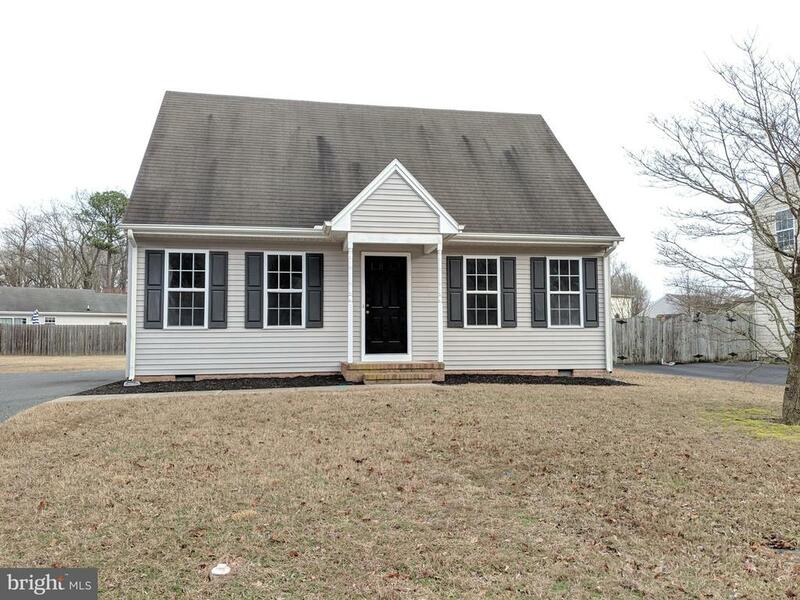 Conveniently located near the Bypass - minutes to shopping, dining, Salisbury University, & Peninsula Regional, but tucked away on a no-through street. Location qualifies for 100% financing! Call today to make this home your own! Photos are of a similar home. Sizes, taxes approximate." "Ashwood Villa at Rowens Mill. Spacious 3br 2 bath with first floor master bedroom and bath. Customizable interior and exterior for limited time." 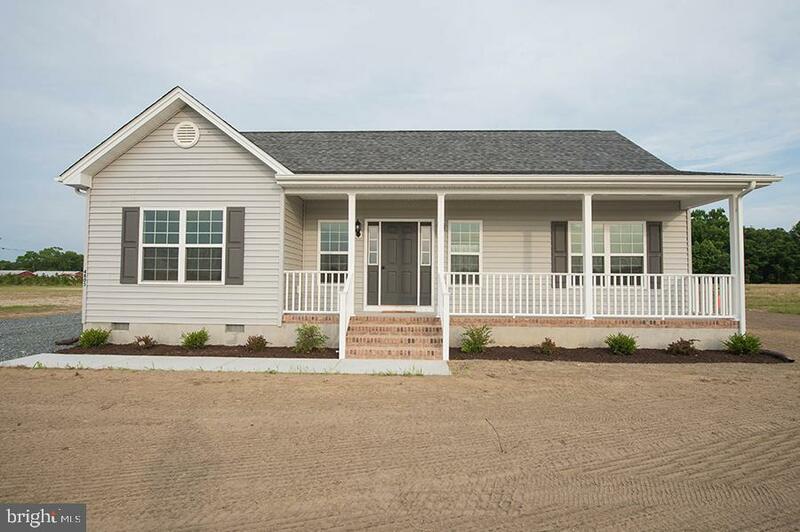 "Brand new home to be built in Fruitland! 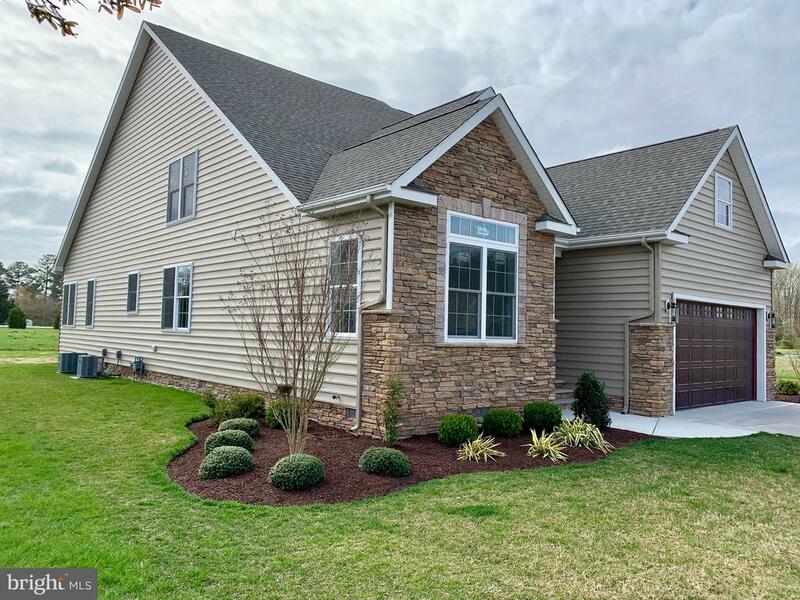 High end finishes throughout out including: Designer kitchen cabinets with granite tops, stainless appliances, large master suite with walk in closet, attached garage, front porch, back deck, wood flooring and so much more! 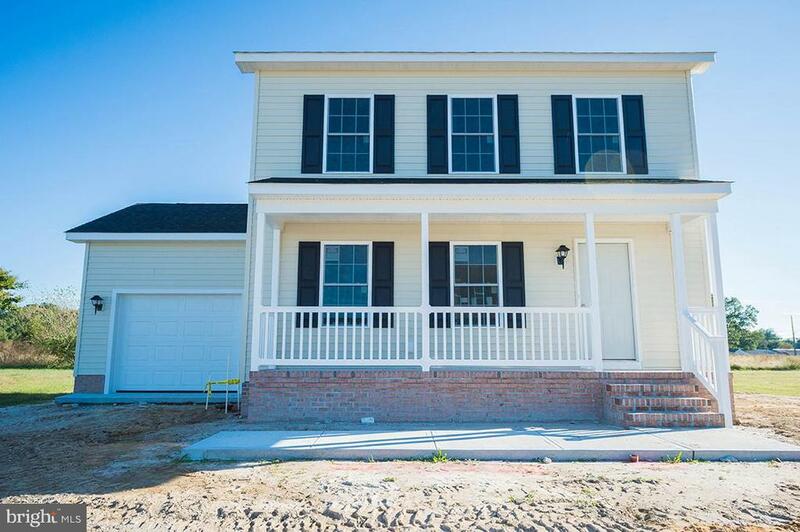 Still time to customize to make this home yours!" "New carpet in living room, bedrooms and on stairs. Fresh/new laminate. New vinyl on main level floor. Fresh/new paint throughout. New appliances including refrigerator, dishwasher, and oven. Fresh mulch around deck, and deck has been repainted. Front columns and front door repainted. Back sliding door has been replaced. Large storage space entrance in 2nd bedroom."